For the sky lovers out there, the question of whether there is a planet 9 lurking on the distance of the solar system is quite intriguing. In planetary science, speculations around the planet are tantalizing and people love gossiping about it. However, Planet 9 is not about Pluto. 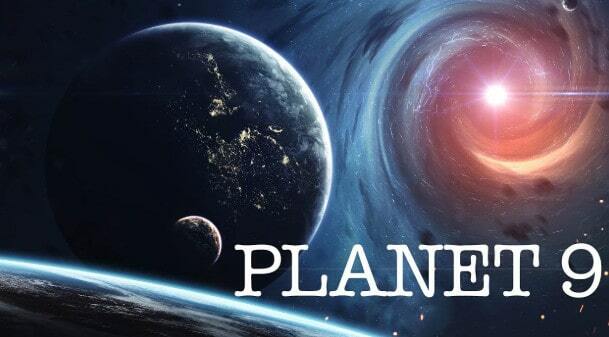 It is about the “speculated giant planet”, that is probably hiding somewhere far behind Pluto. 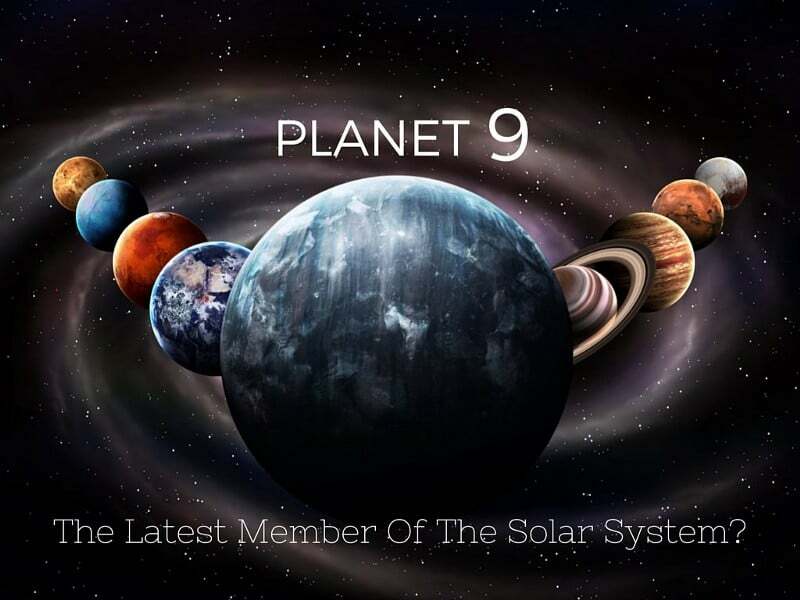 Planet 9 was first introduced by the Caltech astronomer duo Mike Brown and Konstantin Batygin back in 2015. They claimed that the planet’s existence can finally explain trans-Neptunian objects’ odd orbitary systems. The trans-Neptunian objects are objects found in the Kuiper Belt. The only explanation behind these small objects’ orbits being clustered together could be because of a more distant and larger world pulling them with its rather strong gravity. When was Planet 9 discovered? 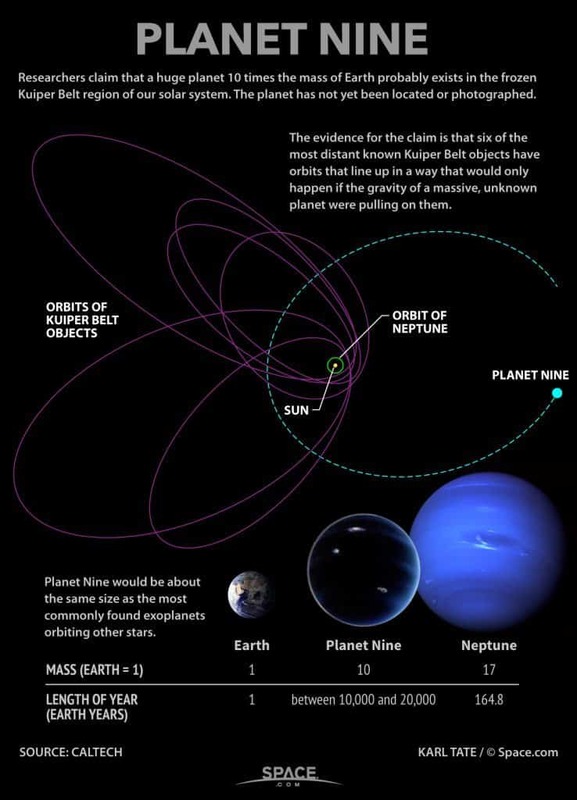 Planet 9 has not been discovered yet. It only has been speculated by the scientists. There are a lot of debates going on among the community, based on whether or not the planet exists. Why Do Scientists believe Planet 9 is there somewhere? The astronomers, who have been studying Kuiper Belt noticed that a few dwarf planets along with some other icy, small objects follow orbits that keep clustering together. By closely studying these orbits, the group of Caltech Scientists has come to speculation that there probably is an undiscovered planet, larger than the earth, hiding far behind Pluto. 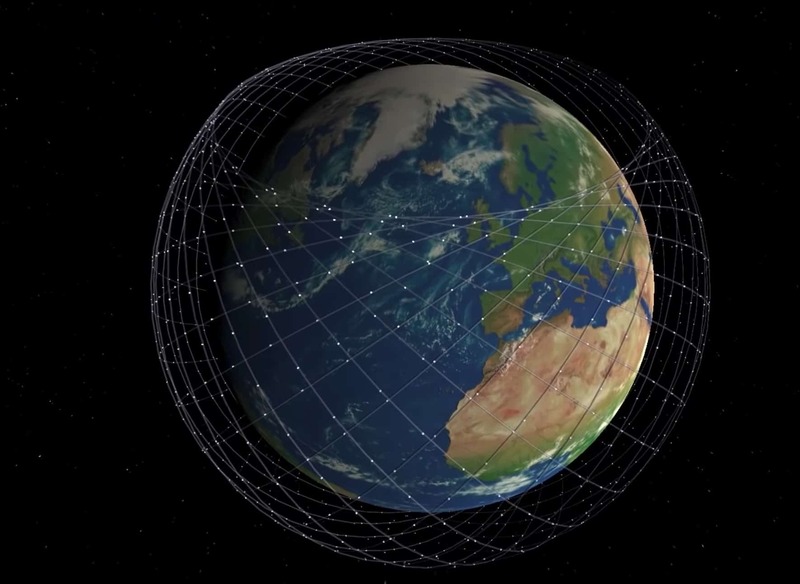 The prediction is highly based on a detailed mathematical calculation, along with computer simulations, and not simply on direct observation. If Planet 9 exists, what is it going to be like? If Planet 9 really exists, then it can be about 10 times larger than the Earth. 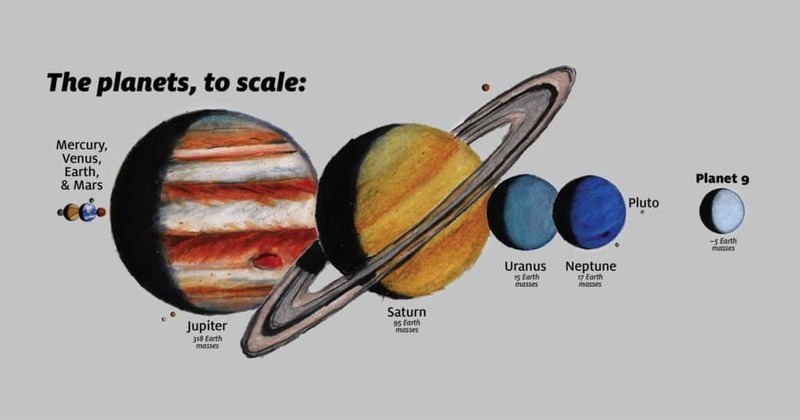 The planet, however, can be smaller than Neptune. If there certainly is a Planet 9, it is possible that it’s rotating on an elongated orbit. The planet is really far from the sun. The team of Caltech astronomers, including both Brown and Batygin, have already begun their hunt for Planet 9. 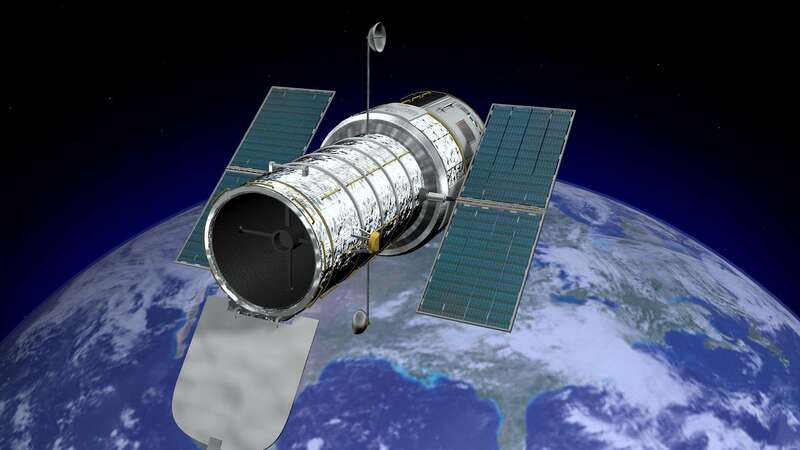 Soon, they will be using the world’s most powerful telescope to find the said planet on its rumored orbit. 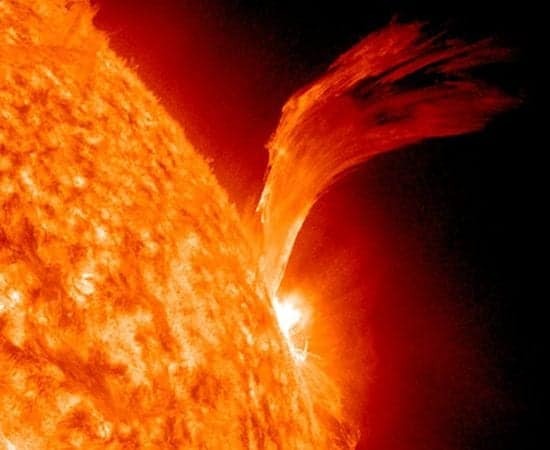 It surely will be really hard to find something so far from the Sun, but once discovered, the planet will surely be one of the most exciting discoveries in space history.